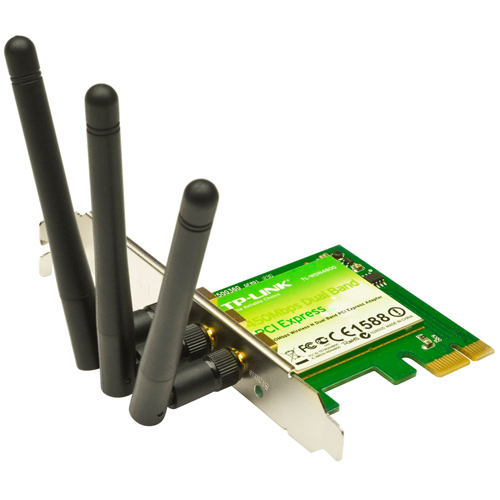 Recently I have been having issues picking up the 5GHz channel from my router using the TP-Link TL-WDN4800. Some days I would boot up and the computer picks it up from the jump but in the past few days, it would give me network errors dropping downloads and the Internet connection itself. At first, I thought it was my ISP but my Samsung S7 Edge and Apple iPad Mini 4 all seemed to be finding the 5GHz channel with ease. I did some Google-fu and found it has to deal with how the NIC picks up 2GHz/5GHz channels sent out from your router. I believe my ISP router was switching to higher channels on the 5GHz channel automatically and causing network errors when I was downloading huge files over WiFi from either compensating with the huge network downloads (2GB and up) or from the surrounding competing neighboring routers on my street. I changed out from the boxy router that was provided by my ISP and switched it out with a Netgear Nighthawk R6700 (AC1750). Even with the switch, the TL-WDN4800 only recognized the 2GHz channel. Then, I found information on the hackintosh forums that the TL-WDN4800 would only recognize or find the 5GHz channel on certain defined channels. The Netgear R6700 had 153 set as the 5GHz channel up to 1300Mbps speeds. Switching it to channel 48 all of a sudden the WiFi card found it with ease. Subsequent tests confirmed my findings when I downloaded roughly 3GB of data without any errors or connection drops. Supported channels for 5GHz connections are as follows: 1, 2, 3, 4, 5, 6, 7, 8, 9, 10, 11, 12, 13, 36, 40, 44, 48, 52, 56, 60, 64. Under El Capitan, channel 44 was recommended as under OS X Yosemite channels were different. 93 out of a 400Mbps Internet pipe.